On December 23, 2016 Waybest Tower Inc. got the opportunity to be featured on the Global News Lethbridge 6:00pm news. 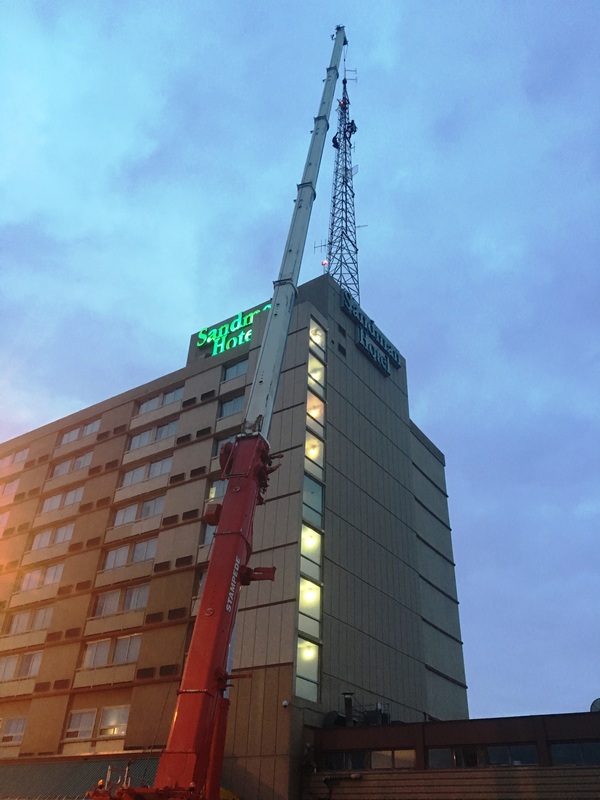 Project Manager, Scott Smith, along with his crew were in Lethbridge to remove a radio broadcast tower from the top of Sandman Hotel. Lethbridge News Now also reported on the removal of the tower.